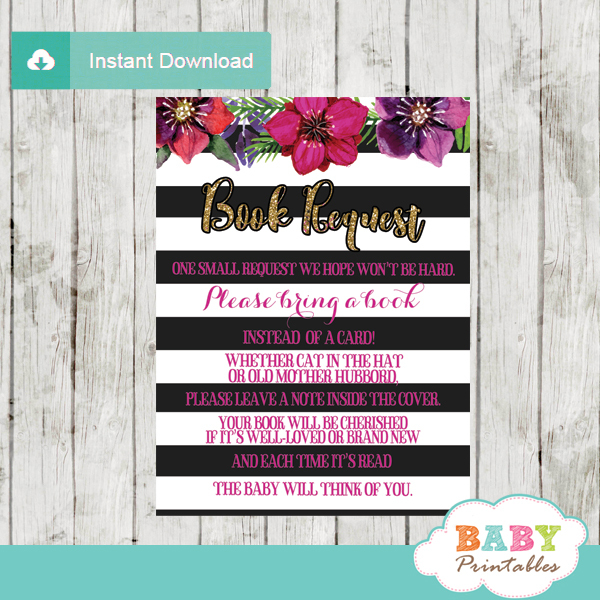 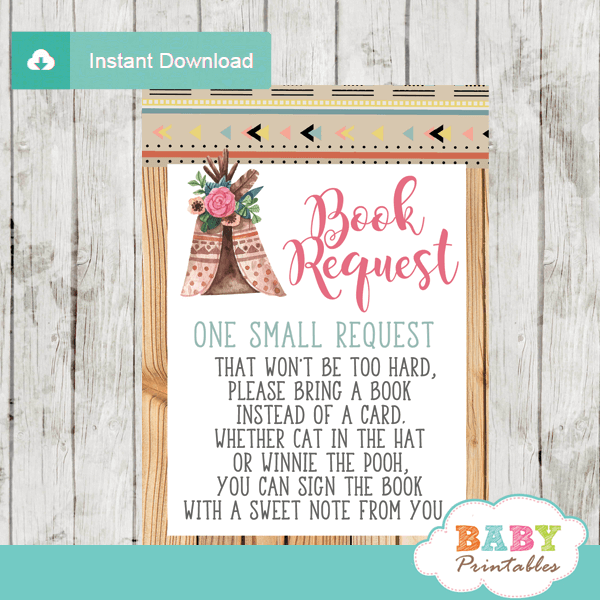 Printable Boho Tribal book request cards. 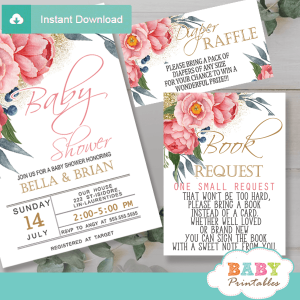 The tribal themed Invitation Inserts feature a native teepee tent decorated with a floral arrangement and a boho arrow against a white frame overlaying a rustic wood backdrop. 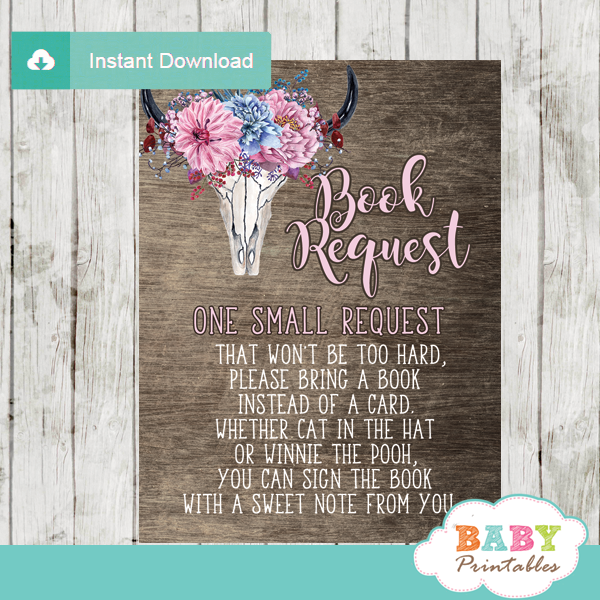 The tribal book request cards design also includes Aztec print with artsy pink calligraphy. 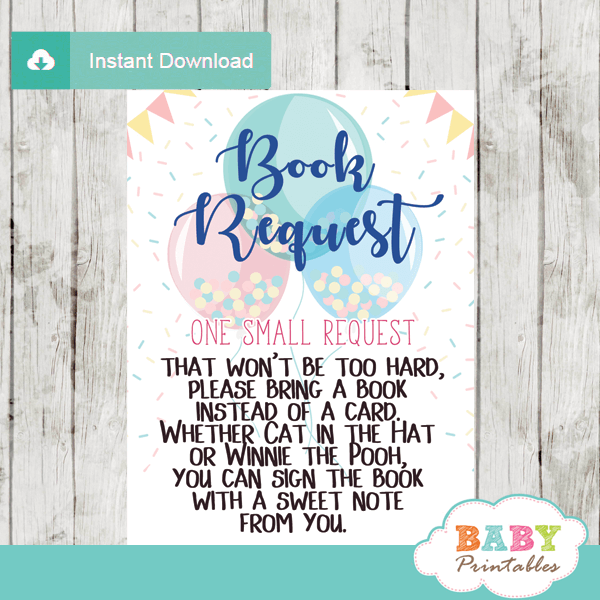 ★ Click here to view matching tribal baby shower decorations.